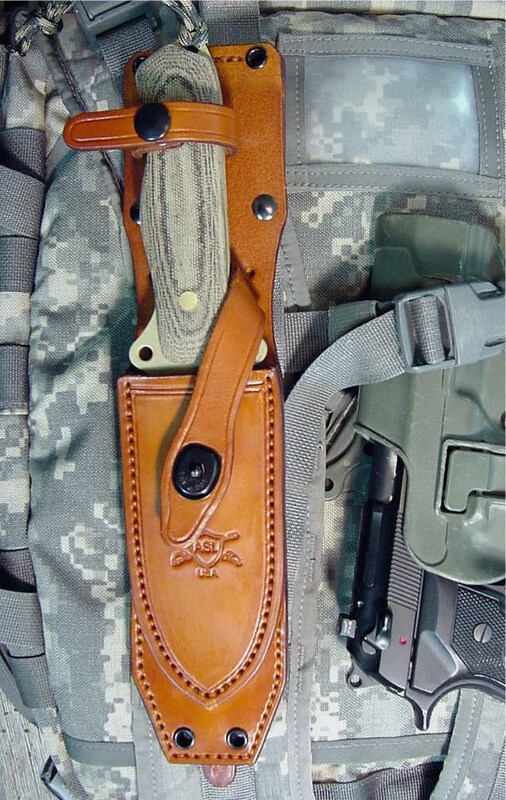 Leather Tactical sheaths will be approximately $124.95 when ordered with an ASL TACTICAL KNIFE. The same options are available as on the Kydex sheaths. We can make these sheaths to fit any size knife you have, but you may need to ship your knife to us for a perfect fit. Sheath Specs: American Wickett & Craig veg tanned leather, oil base color stain, saddle finish inside and out, Mil Spec black Lift the Dot guard retaining strap, Mil Spec black press the dot handle retaining strap, 550 para cord grommets, Molle attachments front and rear. 346 heavy duty nylon thread- lock stitched. Designed and built for rough military, law enforcement, first responder, and survival use. Order yours today.